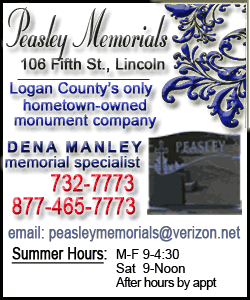 [May 24, 2010] LINCOLN -- Gregory E. Brinner, 59, of Lincoln, died Sunday, May 23, 2010, at St. Clara's Manor. He had been ill.
Cremation rites will be accorded. Mr. Brinner was a real estate broker in Lincoln. 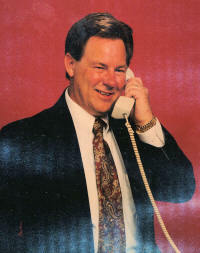 He had owned and managed the RE/MAX franchise for Lincoln prior to becoming ill. 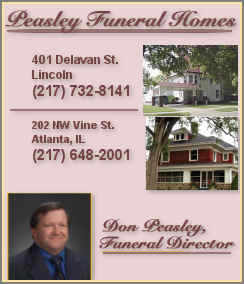 He was born Aug. 26, 1950, in Lincoln, a son of Claude and Nancy Hale Brinner. He married Patty Ferguson on Sept. 2, 1977, in Lincoln. He is survived by his wife, of Lincoln; his parents, of Lincoln; one son, Stirling (and Rebekah) Brinner of New York City and a granddaughter, Zoë; and two brothers, Gary (and Susan) Brinner of Springfield and Garland (and Kathy) Brinner of Lincoln. He was a member and past president of the Logan County Board of REALTORS and a member of the First United Methodist Church of Lincoln. Greg had always enjoyed racing. He competed as an amateur driver, racing open-wheeled cars at tracks across the Midwest in the '80s and '90s. He graduated from Hartsburg-Emden High School. Memorial donations may be made to the family and will be accepted at the funeral home. 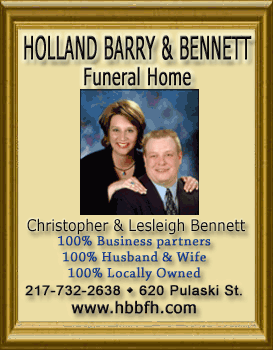 Click here to send a note of condolence to the Brinner family.